How Can Complex Texts Ever Work for Below-Grade-Level Readers? For readers, practice matters. Volume of reading matters. As we think about the Common Core State Standards’ goals, experience is a better word than practice—a word that carries baggage of activities around reading. If we want children to be good at reading, they need long stretches of uninterrupted time to read[i]. Amount of time spent reading is directly linked to reading success[ii] and success as students overall[iii]. Yet all independent reading is not created equal. Research has shown that children’s reading time is often wasted when they are not matched appropriately to books that they can read with accuracy, fluency, and comprehension[iv]. If we wreck students’ motivation by presenting books at their frustration level we will simply make them feel deficient. Students who find pleasure in reading naturally take on books at higher and higher levels as they mature, and get book recommendations from peers and teachers. As they read, they do all the rigorous questioning, imagining, analyzing, and learning that is a part of being in an engaged state of reading. Students’ minds literally can’t get to higher-level thinking if their cognition is so mired in tackling vocabulary, content, and concepts for which they are not developmentally ready — or if they are bogged down trying to just figure out what the words say, being forced to use decoding strategies in every sentence. 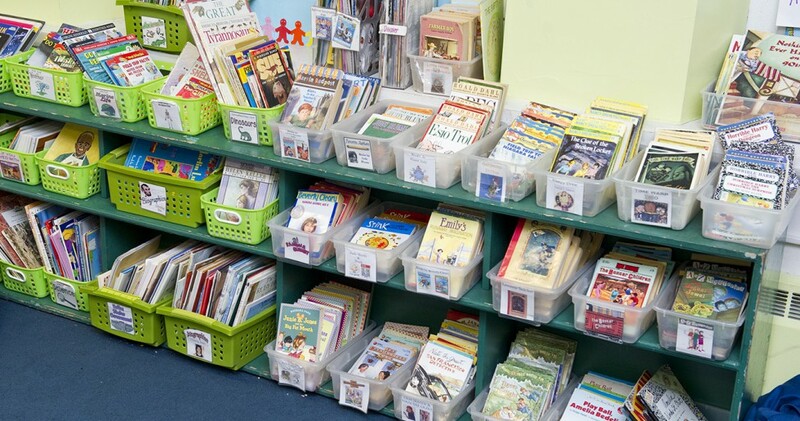 So on behalf of all readers, but especially readers who struggle, we have to resist the pressure to meet this new mandate for reading complex texts by replacing students’ just-right reading materials with grade-level texts. It’s magical thinking to assert that every child will suddenly comprehend tougher texts if we merely raise expectations. Research simply does not support that this will make the biggest difference in improving their skills as readers. We need to have a strategic approach, supporting students’ reading of grade-level texts while also meeting students where they are. First, use effective assessment tools to accurately determine a just-right independent reading level using whole texts and identify goals to support each study. Provide many hours each week for students to read independently — at their independent level — as they practice, and to support students with one-on-one, small-group, and whole-class lessons. Second, give all students access to grade-level texts by carefully planning close reading lessons using short, “worthy” passages that offer opportunities for instruction. These close-reading lessons may be in small groups or whole class. In my view, close-reading instruction should never interfere with the sacred minutes set aside for independent reading; it is an additional time, as part of an overall balanced-literacy approach. Of course, what students learn can — and should — be applied to their independent reading. Keep in mind that it’s the high-level reflection and discussion we do with texts that cultivate students’ intellectual capacities to a large degree, and not the texts alone. Further, long and dense texts don’t necessarily trump shorter ones in terms of opportunities for college-level analysis. For example, a teacher can take a level S picture book like Patricia Polacco’s Pink and Say, about a friendship between a Confederate and a Union soldier during the Civil War, and help students comprehend and discuss its themes and ideas with sophistication rivaling a Rhodes scholar reading Shakespeare. It’s not always the text; it’s what you do with it. Jennifer Serravallo, a featured speaker at the 24th Annual Literacy for All Conference (November 3–5, 2013 in Providence, R.I.), is the co-author of Conferring with Readers (Heinemann, 2007), and author of Teaching Reading in Small Groups (Heinemann, 2010), and Independent Reading Assessment: Fiction and Nonfiction for grades 3, 4, and 5 (Scholastic, 2012 and 2013). We have launched our registration for this year’s event with more than 100 workshops for teachers, literacy coaches, and Reading Recovery educators.